Homemade dressings far outshine any store-bought varieties, and Martha will show you how easy it is to make your own. She starts the lesson with a delicious shallot vinaigrette prepared two ways: whisked directly in the bottom of a salad bowl and shaken in a small jar. 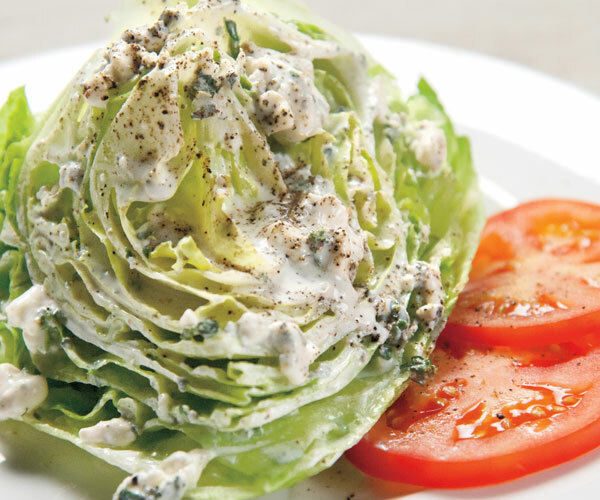 She also makes a creamy blue cheese dressing — just the thing for drizzling onto a wedge of iceberg lettuce. And did you know that you can make your own mayonnaise, too? Follow Martha’s step-by-step instructions, then use it to prepare the most delectable BLT. Martha Stewart shows you how to make some great mayonnaise, dressing and aioli. Martha Stewart explains what you can use to make your own vinaigrette. Make a classic bacon, lettuce, and tomato sandwich with your own homemade mayonnaise. Martha Stewart makes this BLT sandwich on the "Dressing and Emulsions" episode of "Martha Stewart's Cooking School." This BLT sandwich recipe appears in the "Dressing and Emulsions" episode of "Martha Stewart's Cooking School." Visit the episode guide to watch a preview and get a cooking tip.